Take the time to remove dead or damaged branches. 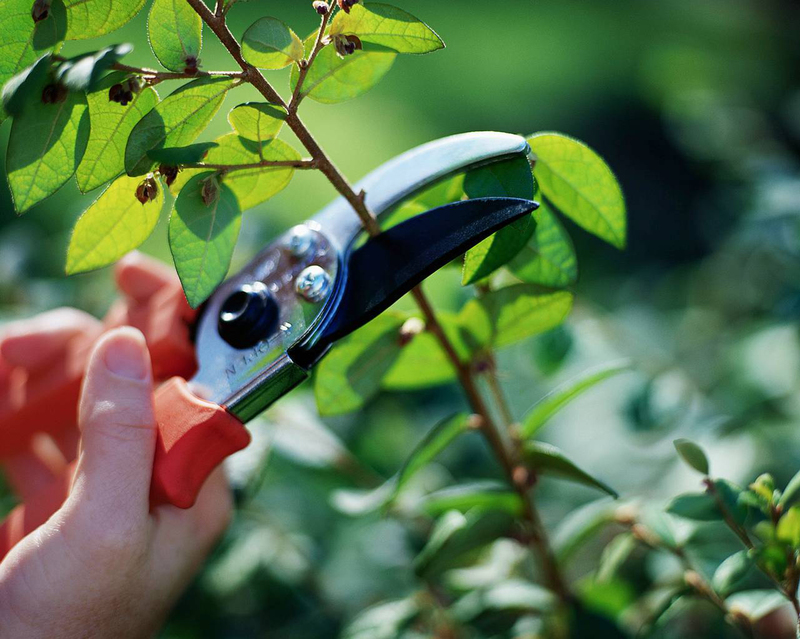 Evergreen shrubs can also be pruned, removing damaged branches and prune as needed. If your ground cover has grown over the summer, take the time to even it up. Don’t forget your perennials. Remove the older flower stalks and dead head the seeds. Do NOT prune your fruit trees! Peaches, plum, apple trees, these are dormant. Leave your spring flowering shrubs alone too. They may look like they need pruning, but they are working on buds for next year’s growth. Wait until AFTER they bloom again to do any pruning. Stop by Lochte Feed and General Store for all your gardening supplies and plants. We carry a great selection of fall garden plants, garden supplies, fertilizers and more. This entry was posted on Monday, October 8th, 2018 at 3:13 pm	and is filed under News & Updates. You can follow any responses to this entry through the RSS 2.0 feed. Both comments and pings are currently closed.